Italian Harrier comes aboard USS Iwo Jima. 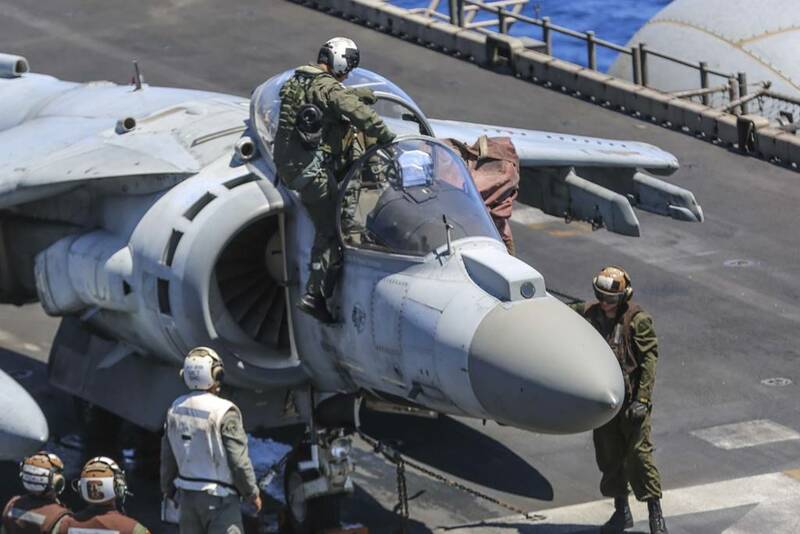 An Italian AV-8B Harrier landed aboard the Wasp-class amphibious assault ship USS Iwo Jima (LHD 7) July 18, 2018. 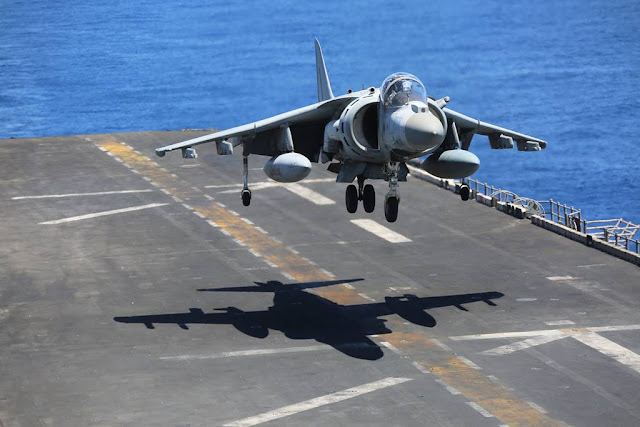 The Harrier and its crew will later cross the Atlantic Ocean with the Sailors and Marines aboard the Iwo Jima, as the Iwo Jima Amphibious Ready Group, along with the embarked 26th Marine Expeditionary Unit (MEU), returns from their deployment. 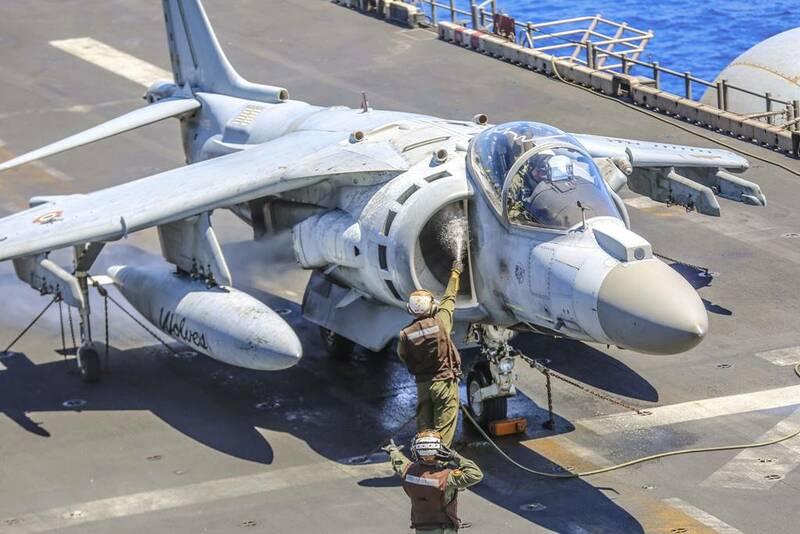 Upon their arrival in the United States, the Italians will fly the Harrier to Marine Corps Air Station Cherry Point, North Carolina, for a scheduled preventative maintenance inspection (PMI), a process which will take up to six months. Many U.S. deployments pass through the U.S. 6th Fleet area of operations, making it opportune for the Italian Air Force to fly on and execute these types of missions. The Iwo Jima and 26th MEU are on a scheduled deployment in support of maritime security operations and theater security cooperation efforts in the U.S. 6th Fleet.